Ochre and bat stars adorn the Monterey Bay rocks at low tide. I am supposed to be thinking about John Steinbeck. It's what my English professors would have expected, and it's what I had anticipated doing, even going so far as to pull out an old copy of Cannery Row to read during my visit. But standing here on this cold shore, it's Mark Twain that's in my head — or rather, it's a quote falsely attributed to him: "The coldest winter I ever spent was a summer in San Francisco." Granted, San Francisco is a hundred miles north of here, but as I shiver under a gray July sky in five layers of fleece, it seems appropriate. This might seem like an uncomfortable way to start a dive, but nothing can touch my excitement. I can't suppress a self-satisfied laugh as I grab my drysuit and begin gearing up. After weeks of anticipation, we are finally at Whalers Cove, part of Carmel Bay's Point Lobos State Natural Reserve. The water is warmer than the air, we can see the ocean floor 40 feet below us, and the steep cliffs and stark wash rocks around us have inspired some of the best artists in American history. This is arguably the best shore dive in California and certainly among the best in the country, so it is tough to be concerned about a gray sky. As we descend, I look around at the kelp suspended in clear blue water with bright red crabs and barnacled Norris' top snails clinging to the leaves. The rocky reef is so covered with large fish-eating anemones that if I squint it resembles a field of colorful flowers. A harbor seal bites my fin, then darts shyly away, and a large torpedo ray passes by us slowly, searching for a meal. This has been a marine reserve for decades, so the fish are abundant and shockingly big. Densely packed blue rockfish crowd the water column, and there are cabezon the size of small dogs on every other rock. Nutrient-rich upwellings from the deep, offshore submarine canyon have encouraged the growth of vivid invertebrate life that blankets every hard surface. The number of divers allowed into the park is strictly limited; we don't see a single other person for the duration of our dive. As we're swimming back to shore, it occurs to me why the site is so special: This lush forest is like a time warp, revealing to visitors what the ocean used to look like. It's a California that is nearly impossible to see now. The town of Monterey attracts thousands of oceangoing visitors every year. Divers in particular are drawn to this area because of the variety and easy accessibility of world-class dive sites in the two bays that lie on either side of the Monterey Peninsula. Carmel Bay, on the southern aspect of the peninsula, is where we commonly begin our dive trips to this region, and little wonder: The intricate system of marine protected areas here means the fish life is prolific and bold. Of Carmel's dive sites, the most revered lie within Point Lobos State Natural Reserve, a park that encompasses and protects almost 10,500 acres, 9,900 of which are underwater. Whalers Cove is the access point on shore; its boat ramp provides a convenient entry point for divers and snorkelers. Immediately to the northwest is Bluefish Cove, a pristine kelp forest that lacks a separate entry point but can easily be reached by a small watercraft launched at Whalers. A crab clings to the kelp at the Point Lobos State Natural Reserve. We're getting ready to go for a second dip at Whalers when a diver with a rigid-hulled inflatable invites us to accompany him for a dive "around the corner." We gratefully accept and toss our gear into the boat before he can change his mind. Soon we're off, bypassing Bluefish Cove and anchoring at adjacent Outer Bluefish Pinnacle. This twinned pinnacle reaches to within 35 feet of the surface and is covered with brightly colored sponges, hydrocoral, starfish, anemones and keyhole limpets. I'm admiring the colorful invertebrate life in the shallows when I see frantic signaling from my buddy. He waves his hands magician-style (voila!) to reveal a bizarre find: a massive lime-green lingcod resting in a floating kelp holdfast. The next day we are planning to dive from Monastery Beach, a publicly accessible stretch of sand just north of the reserve. Monastery provides shore access to dive sites known for steep, plunging walls and equally steep entry points. The former means advanced divers are drawn here by the bewitching possibility of distinctive deep dives, but the latter make for challenging, rubbly entries that are made worse by a short but mighty surf zone — factors that have resulted in ominous nicknames (such as "Monsterberry Beach" and the even more sinister "Mortuary Beach"). Although dramatic dropoffs, sponge-covered boulders and myriad large rockfish reward persistent divers, I can't help but be a little apprehensive. As we're packing our gear into the car, we get a phone call that turns my worry into pure excitement. Miraculously, some spots are available on a local charter boat that is headed to the Carmel Pinnacles, the area's Holy Grail dive site. The pinnacles are a remote but integral part of the marine reserve, though their exposed location means the days leading up to a charter can be occupied by anxious scrutiny of weather and swell forecasts. We can hardly believe our good fortune as we explore the spectacular dual structures that rise from depths of hundreds of feet to 15 feet at their shallowest point. The invertebrate life here includes one of the most mind-blowingly colorful arrays of branching hydrocoral in the region, and the fish life is every bit as incredible here as in the rest of the reserve. To top it all off, the site's isolation and the presence of the nearby underwater canyon means that all manner of pelagic life can also be seen here. Monterey Bay’s eerie green water makes a lovely backdrop for the brilliant orange sunstars and huge metridium anemones that populate Metridium Field. Knowing that this site will be tough to beat, we decide it's time to shift our attention toward Monterey Bay. The difference is striking. While Carmel Bay seems embraced by nature, Monterey Bay is steeped in history. Many shore-diving sites in the city of Monterey are immediately adjacent to historic Cannery Row and are marked by defunct remnants of the sardine fishing industry. Monterey Bay (referred to locally as "the bay") has a silty seafloor that does not commonly permit the degree of water clarity that can be found in Carmel Bay. However, the presence of protected dive sites and varied marine life draws large groups of divers from surrounding areas. Underwater, the difference between the bays is even more remarkable. Carmel Bay's riotous colors are contrasted by Monterey Bay's giant metridium anemones, mystical green water and astounding macro life. We follow old cannery pipes out from shore to a depth of 60 feet to reach Metridium Fields, a low-profile rocky reef inhabited by a small school of surfperch and populated by clusters of giant metridiums and neon-orange sunflower stars. Nearby McAbee Beach, which requires a slightly longer swim, is next up; it's a lovely kelp site lined by granite boulders dotted with colorful starfish and fish-eating anemones. Sea nettle jellyfish fill the water column in Monterey Bay. Feeling a little lazy, we decide we're in the mood for a few boat dives. We anchor on Ballbuster, a pinnacle that plunges from 65 feet to deeper than 110 feet. When we peer into the water we see something we've been hoping for all week: a jellyfish bloom. Hundreds of pulsing golden sea nettles are moving through the water column, and the visibility is the best we've ever experienced in the bay. My buddy looks at me sternly and says, "No. You are NOT going to photograph jellyfish in 25 feet of water for the whole dive." I smile innocently and backroll in. A fish-eating aneomone (Urticina piscivora) awaits prey. When we descend, it is tough for me to concentrate on the pinnacle itself, despite its thick layer of giant metridiums and pink Corynactis anemones. I am slightly more interested when we spot a cabezon guarding a large nest and a giant pacific octopus crammed deeply into a fissure, but I can't stop staring up the anchor line at the jellyfish. At last, my exasperated buddy makes the turnaround signal, and I am certain that every diver in the water can hear my whoop of enthusiasm as I begin my ascent. The current is brisk, and it is hard work to frame the jellyfish against the sun (and even harder to avoid their stinging tentacles), but we doggedly persist. For our final dive, we head to The Breakwater, easily the most popular shore-diving spot in the bay. This site, which lies adjacent to the U.S. Coast Guard Pier, combines a sandy muck area and a kelp-studded rocky reef. It's the first time in a week that I've looked for subjects smaller than a grapefruit, and once I start looking, I can't stop. Ravenous nudibranchs are everywhere, from dragonesque orange Dendronotus feeding on tube anemones to hooded white Melibe capturing prey in the surge. Brightly colored jeweled top snails climb the kelp, and tiny octopuses clamber between rocks, trying to blend in. We hit our turnaround point and head back toward shore. I am about to surface when I spot a slithery movement adjacent to a rock. Closer inspection reveals a tiny juvenile wolf eel smaller than the palm of my hand, gaping at me in surprise or perhaps simply to say farewell. I surface, reluctantly letting the surf push me toward shore, and I pull off my fins with a smile. The nearby Big Sur coastline is renowned for its majestic beauty. Conditions and Skill Level: Monterey and Carmel bays are decidedly temperate, with water temperatures ranging between 45°F and 55°F. Visibility varies from 10 feet (on a bad day in inner Monterey Bay) to more than 80 feet (on a great day in Carmel Bay or outer Monterey Bay). 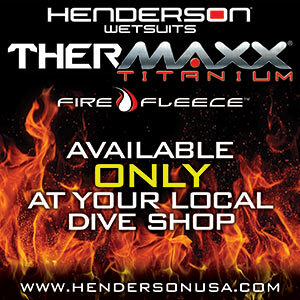 A drysuit or a good-quality 7mm wetsuit with hood and gloves are imperative. Monterey and Carmel bays offer a range of sites that are appropriate for all skill levels, though visitors lacking cold-water diving experience should strongly consider hiring a dive guide. Reserve the Reserve: Carmel and Monterey bays contain a complicated system of marine protected areas, which is evidenced by the copious fish life at many sites. Point Lobos State Marine Reserve is recommended for divers of all levels. Plan to make reservations for a coveted spot, especially on weekends and during holidays. Visit PointLobos.org for more information. Getting There: The Monterey Regional Airport is the closest access point to the town of Monterey, though Monterey is also an easy (but trafficky) 100-mile drive from San Francisco International Airport. Battle-scarred adult male elephant seals congregate in San Simeon during the winter mating season. Surface Interval: We are frequently guilty of bypassing topside sights to maximize our dive days, but this would be a grave mistake in Central California. The town of Monterey alone can occupy days of time, with both a world-class aquarium and a big slice of California's history located a short walk away from most hotels. A hike in Point Lobos State Marine Reserve provides vistas ranging from ethereal forests to rocky points jutting into the ocean to adorable sea otters enjoying a meal of crab or shellfish while skillfully floating on their backs. Taking a day trip 100 miles south to visit the elephant seal colony in San Simeon is a topside twofer: aside from the raucous, pretty/ugly pinnipeds, the coastal drive through Big Sur is thought by many to be the most beautiful in the USA.